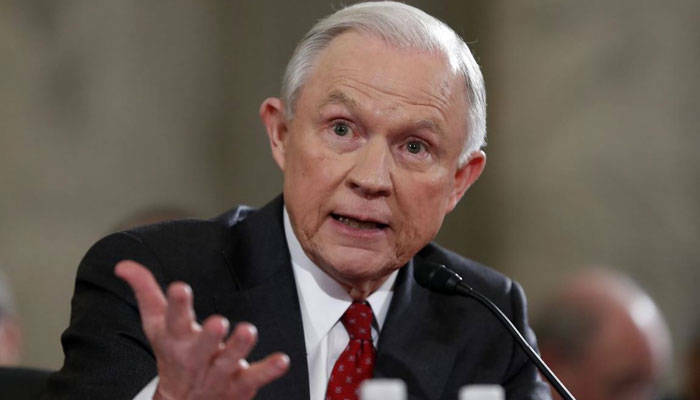 (RNN) – The Senate has confirmed Sen. Jeff Sessions as U.S. Attorney General. Sessions was confirmed by a vote of 52-47. He needed a simple majority to win confirmation. Sessions was elected U.S. Senator from Alabama in 1996 after serving two years as the state’s attorney general. Sessions was among the first in Congress to support candidate Donald Trump and served as a top adviser in Trump's successful presidential campaign. He has backed Trump’s drive to secure the borders as well as the president’s executive order outlining a temporary travel ban on seven Muslim-majority nations. The controversial travel ban has been lifted by a federal judge’s order and is now involved in a legal battle. Sessions ranked among the most conservative senators in America. He supported the 1996 Defense of Marriage Act, signed by President Bill Clinton, which defined marriage as between a man and a woman. He opposes abortion and voted against the Affordable Care Act and former President Barack Obama’s 2009 stimulus package. Sessions, who graduated from Huntingdon College in Montgomery, AL, and the University of Alabama Law School, was the ranking member of the Senate Budget Committee. He was also a senior member of the Senate Judiciary Committee. Sessions served in the U.S. Army Reserve from 1973 to 1986, according to his Senate biography. He worked as a private attorney in Alabama before being named assistant U.S. attorney for the Southern District of Alabama from 1975 to 1977. He was nominated by President Ronald Reagan in 1981 as a U.S. attorney and served for 12 years. The Senate Judiciary Committee nixed Sessions' nomination as a federal judge in 1986 when Senate Democrats led by Ted Kennedy said he made "racially charged comments," according to the New York Times. A former federal prosecutor testified at the time that Sessions had called the ACLU and NAACP "un-American" and "communist-inspired," according to CNN. Several NAACP members staged a sit-in at his Mobile, AL, office in January to protest his nomination as U.S. Attorney General. Sessions attended high school in Camden in Wilcox County, AL, and now calls Mobile home. He and his wife Mary have three children and 10 grandchildren. Alabama's Republican Gov. Robert Bentley said Wednesday night that he would begin moving toward naming a replacement on Thursday. Session's Senate seat will be vacant until Bentley appoints his successor. Shared via our media partnership with WBRC FOX6 News: Copyright 2017 Raycom News Network. All rights reserved.